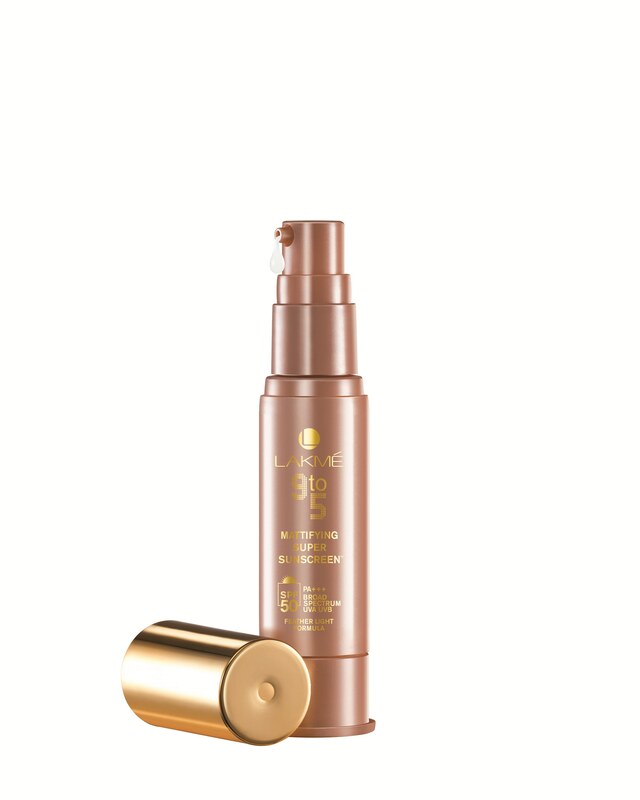 Mumbai, March 2014: Lakmé, India’s iconic beauty brand, has introduced the new Lakmé 9to5 Super Sunscreen with SPF 50 to give you the right 9 to 5 look. Its sheer lightweight formula gets absorbed so easily that it can be worn alone, over a moisturizer or under your Lakmé 9to5 make-up. Lakmé is known to innovate continuously and add new products to its repertoire across cosmetics, salon services and skin care and the Lakmé 9to5 Super Sunscreen is yet another addition to this list. If you are looking for that gorgeous finish along with sun protection, then the Super Sunscreen is just what you need as it also serves as a makeup base. Lakmé 9to5 Super Sunscreen is apt for women with very little or no time to layer their skin with multiple products. What makes this new Sunscreen from Lakmé “super” is the fact that it feels great on your skin and does not leave a white patchy appearance. For the first time, a sunscreen by India’s no 1 brand, Lakmé, is giving you dual benefits. The Lakmé 9to5 Super Sunscreen contains broad spectrum SPF 50 which gives your skin optimum protection against harmful UVA and UVB rays. It does not feel patchy on your skin and glides evenly to cover maximum part of your skin. It not only leaves skin smooth and prepped for foundation, but also evens skin tone, so your skin looks smooth and refined. Even if you use the Lakmé 9to5 Super Sunscreen under make up it will not let your make up look caked owing to its weightless formula. In addition to applying sunscreen directly on your face, you should also cover your delicate neck area and your ears to ensure full protection from the sun and prevent sun damage. 3) Blend gently using upward strokes. Lakmé 9to5 Super Sunscreen can be worn alone or over a moisturizer. « The Nature’s Co. Founder unveils beauty essentials at work!